Two heads are better than one when it comes to space exploration! 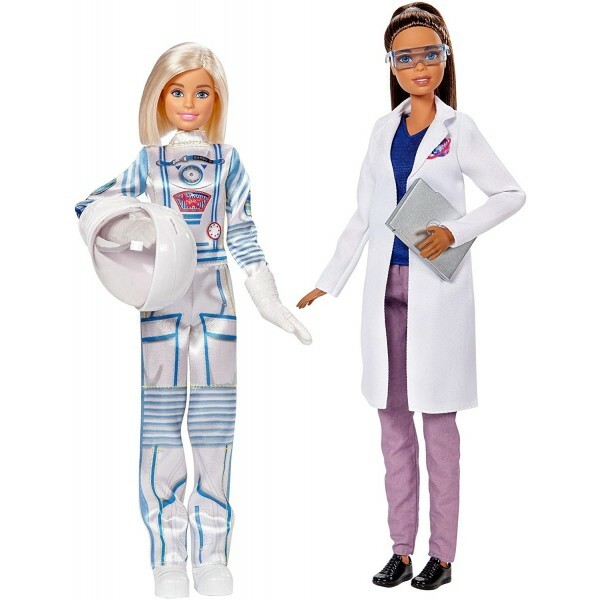 With this space-themed set from the Barbie Careers line, kids get two dolls and accessories to add to the storytelling fun. 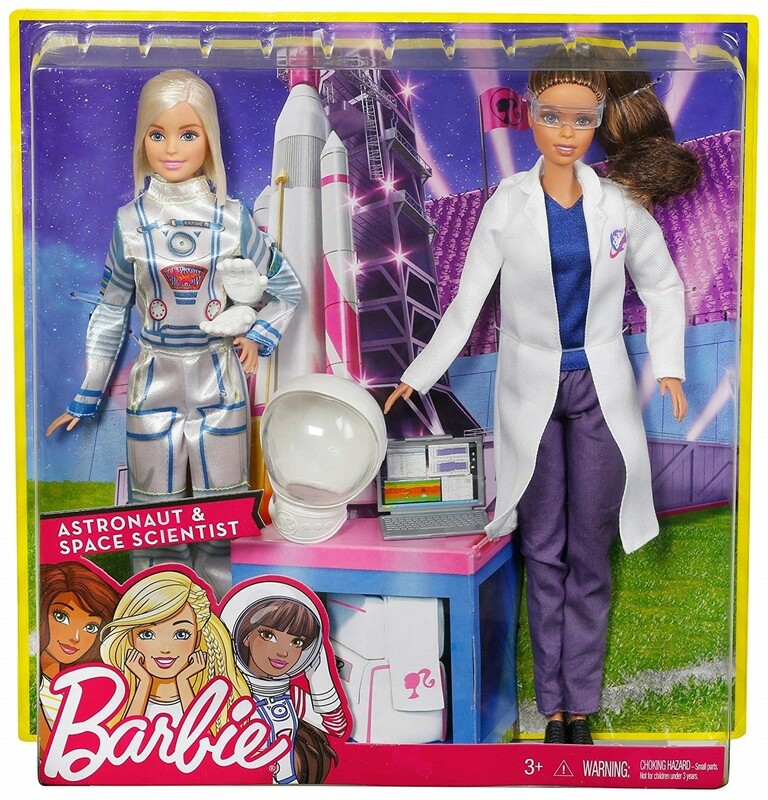 Discover a universe of possibilities with Barbie astronaut doll, who can blast into space wearing a space suit with white gloves, boots and a cool snap-on helmet. 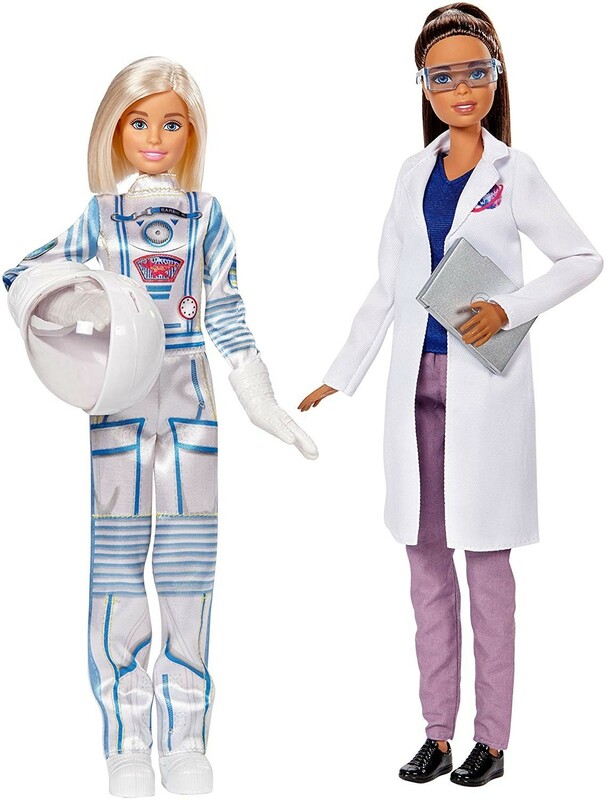 Meanwhile, the space scientist doll helps launch the astronaut into space in a white lab coat and safety goggles; her laptop lets her perform the critical calculations she needs. For this set, Barbie has partnered with Tynker, the game-based platform that teaches kids how to code. Kids can learn how to use simple coding concepts to tell stories about their doll's exciting space missions! For more diverse and empowering dolls, visit our Dolls / Actions Figures Collection.